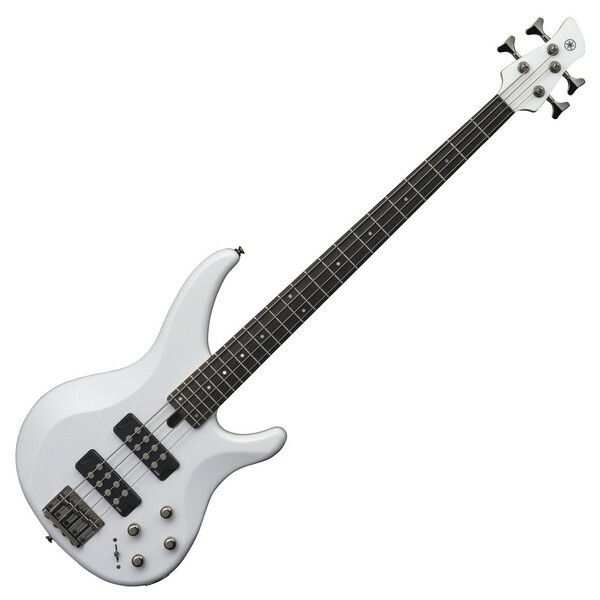 The Yamaha TRBX304 Bass Guitar, White is the perfect instrument for a bassist moving through the ranks, offering a wide range of tonal possibilities for players to experiment with. Its dual-coil pickups deliver an incredibly powerful and clean tone, while its 2-band EQ and active performance EQ switch lets players find the perfect tone for any playing style. Its mahogany body, maple/mahogany neck, and rosewood fingerboard provides players with a beautifully smooth performance, and enhances the bass' tone with plenty of warmth for a sizzling high-end, a firm low-end, and an excellent balance of grind and bite. 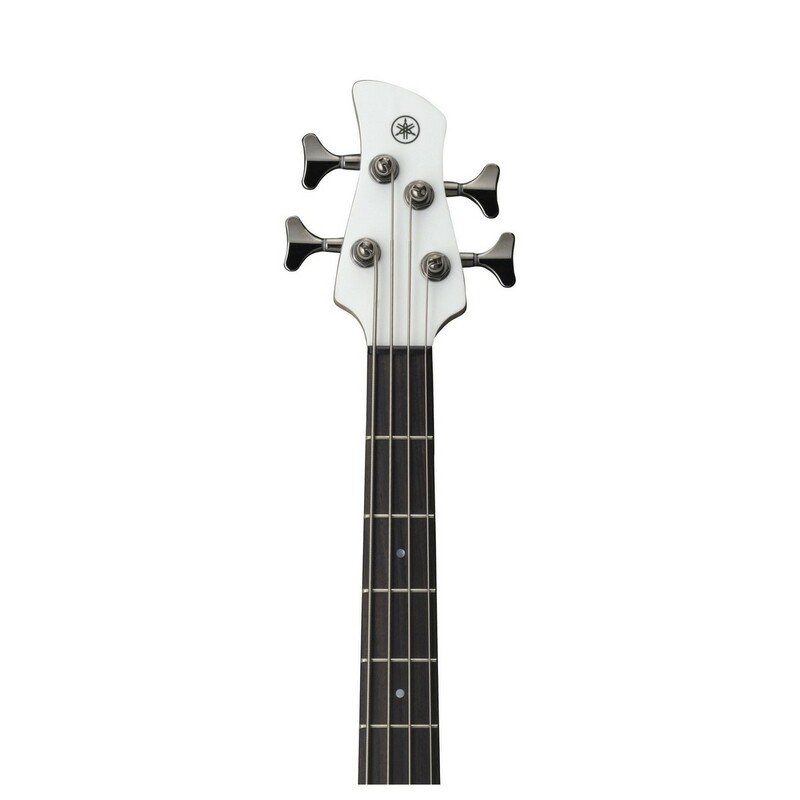 Finished in a a sleek white to create a visually stunning aesthetic, the Yamaha TBRZ304 is the perfect bass for players wanting to discover their own playing style. The Yamaha TRBX304 features a sculpted mahogany body with a mass optimised 3D design for the perfect balance between tone, comfort, and even weight distribution. The use of mahogany provides the bass guitar with a beautifully warm, soft tonality, adding plenty of grind and bite into the mix while keeping everything balanced. A high-mass die-cast bridge efficiently transfers vibrations to the body to deliver a full, rich tone, and also offers excellent adjustability and road-tested durability. The maple/mahogany combination delivers incredible stability, while offer the best of both tonewoods for a bright, mellow sound. The neck is designed with an incredibly thin profile, improving its playability and feel to suit modern and traditional players. Coupled with a rosewood fingerboard, the 3 woods provide the bass with a complex high end and a smooth playing experience. The set of die-cast tuners provide excellent tuning stability, while the urea nut improves intonation for the ultimate playing experiance. 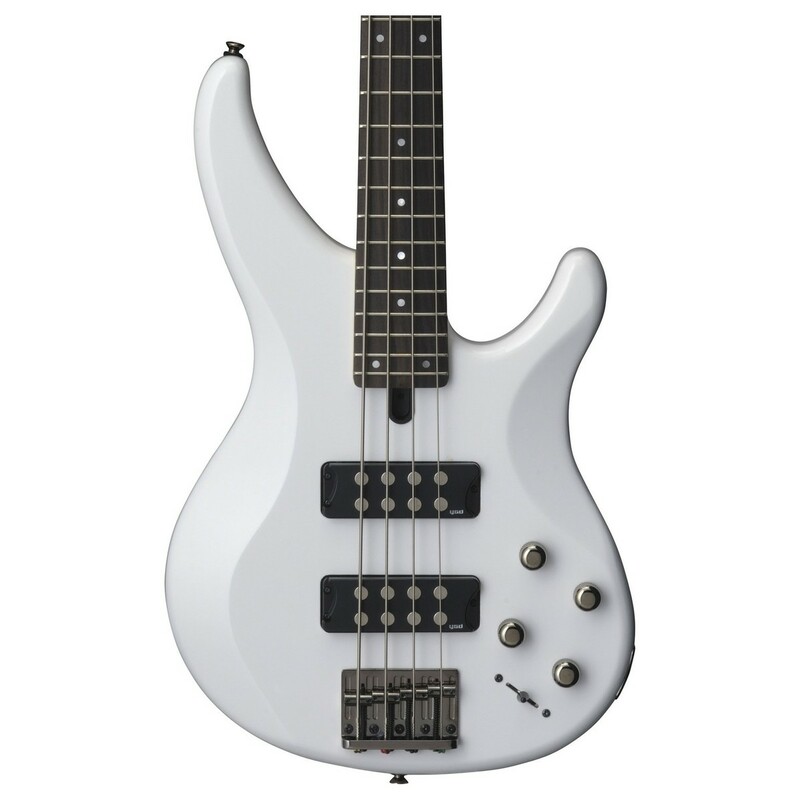 The TRBX304 Bass is equipped with a set of Yamaha's dual-coil pickups, built with ceramic magnets to offer plenty of output suitable for a wide variety of playing styles. Its oversized polepiece construction and noise-cancelling design provides players with an incredibly clear and powerful tone, with plenty of definition and depth for players to experiment with. Along with its 2-band EQ, the TRBX304 features Yamaha's exclusive performance EQ active circuit to offer further tone shaping capabilities. This circuit provides players with five performance tuned full spectrum EQ curves, optimised to give instant access to essential sounds designed for a variety of playing styles.